A lot of the United States is holding its breath hoping that the recovery of the economy will continue. Since housing is an important vital indicator, a lot of eyes are turned towards the housing market. This focus on housing is not just because home prices help drive key economic indicators but also that home sales help drive many sectors of the economy in general. Construction, lending, home services like pest control, and all of the industries related to home improvement depend on a healthy housing market. Homeowners do not spend money on their homes if the values are declining. So, for those who have eagerly awaited news of how the real estate market is doing, the news is wonderful. 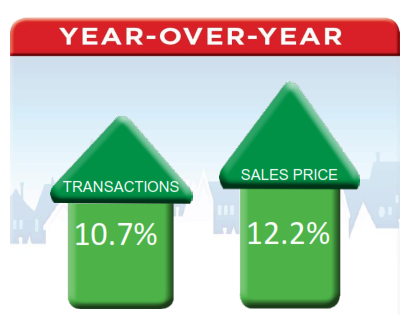 September was the 20th consecutive month for year-over-year increases in both sales volume and prices! The median price of $185,000 was 12.2% above the price in September 2012. According to the RE/MAX Housing Report, inventory continues to decline at a slower rate. Is that good? Yes, that indicates the market is coming closer to the 6-month supply that indicates a balanced market. Many other indicators suggest that the recovery is moving along well. In a recessionary economy, the population pulls back from luxury purchases and makes do with just necessities. The National Marine Manufacturers Association reports that boat sales are up 10% over last year. Just like with real estate, that means the myriad industries based on boating will also do well. Marinas, repair and service companies, upgrade parts, and storage facilities will all be more successful, will add jobs, will be stronger. In our own market area of Flagler County, we are seeing similar increases to the national trends. Home sales are up over last year, home prices are increasing at a reasonable rate, home service industries are bouncing back. We think it's a wonderful sign! How do you feel about the way things are going? Are you as optimistic as we are?! Franchises VS Independent Brokers - What's the Diff? Sometimes people wonder, "Why would someone go into the Real Estate business and want to be part of a franchise? Aren't there higher fees than if you just opened a storefront and started doing business?" The first answer is, "Yes, it costs more to open a RE/MAX brokerage. But it is well worth it!" And, more importantly, it is well worth it to the buyers and sellers that come to us. We are better able to help them because we are with RE/MAX. For one thing, think about how franchises work. Some body has a recipe for fried chicken that everyone loves, and he is making more money running his chicken restaurant than any other restaurant around. So he decides to franchise it, and fried chicken restaurants pop up all across the country. And they thrive. They outlast local independent restaurants and make more money. Why? Because the first fried chicken company was doing it right and he taught all the people who bought franchises from him. They got a recipe that was popular and a formula that worked to make money. In Real Estate it is much more complicated but the basic principle is the same: the original RE/MAX office knew what they were doing. They teach their franchisers how to do a good job doing things the same way. They tweak things throughout the years and communicate the new information to all their franchisers. So every office knows the "best" way to do things. This cuts through much of the confusion a new broker has when they open an independent office. If you travel you probably see your favorite chain or franchise restaurants and you stop there knowing you will get food cooked just the way you like it. The same way, people who move across country look for a RE/MAX office when they relocate because they know they will be treated professionally by the brokers there. Is that really worth the money? Does it really work? Yes!! 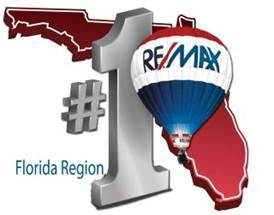 Franchise Times named RE/MAX the top real estate franchise in 2013. RE/MAX was also in the top 20 of all franchises in all industries. That says a lot! And what does that say for you, the home buyer or seller? It says we know the absolute best way to help you find a new home or sell your old one! Stop by our office and see! How Does an Agent Help a Seller Sell Their Home? Today's real estate market is a very different scenario from the market of just a few short years ago. Houses are selling faster, banks are approving loans more willingly, time on the market is shorter. Sounds like a wonderful situation for sellers! And it is; but that doesn't mean that there are not some hurdles in selling a piece of property and most of those can be overcome by a savvy listing agent. Finding qualified buyers - not every buyer has bank financing lined up, good credit, or their down payment money ready to pay. One of the first thing an agent advises a buyer to do is to get pre-approved. Once a buyer has been pre-approved through a lending source, it is clearer what they can qualify for and how much down payment they are prepared to pay. Getting exposure for your house so that buyers find it - RE/MAX has many ways to help a seller get their home's photos and descriptions in front of buyers. As well as a large nation-wide website that showcases homes, your Realtor® will list your home in the MLS system, provide you with for sale signs, and feature it on their website and social media. This guarantees that buyers who are looking, are finding your house. Showing your house off to its best potential - Are you worried that your home doesn't have the pizzazz to attract a buyer? Your RE/MAX professional can make staging suggestions or even help you find a professional stager who can come in and dress your house for a whole new look. Perhaps you know your home is 'perfect' but you are afraid a buyer won't have the discernment to recognize that. Your RE/MAX professional can introduce you to a home inspector so that you can provide potential buyers with a home inspection report showing your home is in tip-top condition. Finally, contract negotiations can be emotionally draining. You want this; they want to pay that. Don't worry. Your agent will work with the other party's agent and everything will get resolved. And, your agent will do his or her best to get you the best possible price. You don't have to do a thing but show up at the closing! Why RE/MAX? Why RE/MAX Flagstaff? Everyone knows a Realtor®. Actually, everyone probably knows two or three, maybe even a family member dabbles in real estate. And none of us like to hurt anyone's feelings so deciding who to use to list our home can be a delicate decision. It is, also, a business decision. Your home is possibly the largest purchase you will make and the largest asset you will sell in your lifetime. Doing it correctly can save you money, make you money, and save you time and aggravation. Or it can be one headache after another. To answer the first question in our headline - why RE/MAX? - that is a question we had to ask when we opened our brokerage. Would we join an established corporate team like RE/MAX or one of the others, or would we be independent. That was an easy question to answer. An independent agent may do a great job but they do that great job without the support that are team like RE/MAX can offer. Nationwide advertising, brand awareness, and a tremendous number of tools provided by RE/MAX make our jobs not only easier but allow us to do them in the most professional manner possible. 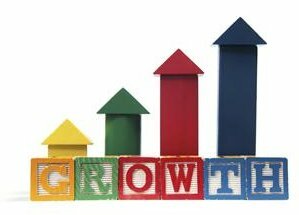 We don't have to anxiously second guess trends and learn by the sink or swim method when challenges like short sales crop up. Our offices are informed and empowered to work seamlessly with our buyers and sellers using the most up-to-date methods available. So, in order to give our customers the best service possible we joined the RE/MAX team. Why RE/MAX Flagstaff? Because we are committed and conscientious professionals. Our team is absolutely devoted to making sure you find the house you dreamed of at the price you can afford. Or, that your house sold at a price you are delighted with, in a time frame you needed. Do we believe that we can deliver those goals? Yes. To date, our office is the most productive office in the county. With only 5 sales associates our per agent productivity is $2,139,522 for the year. And this year is promising to be an amazing year! RE/MAX Housing Report. So, we understand that the decision to choose a Realtor® is one that has some emotion in the balance but it is also one that will impact many other decisions and have more than a small financial impact. Please consider choosing RE/Max Flagstaff when you buy or sell a home in Flagler County not only because we are your friends and neighbors, but because we will do the best job possible for you. We promise! The other side is existing home sales. Existing homes are still selling and inventory is still very low. Some of those sales can be accounted for by investors who continue to purchase either for income property or with a plan to flip as the market prices go up. Some sales are accounted for by the in-migration of people from northern states and Canada to Florida's sunny shores. Buyers from other areas often prefer established neighborhoods with mature landscaping and a proven economic trend over a development that is not built out yet. Established schools and other support services can make a difference to a family moving in to the area with school-aged children. I have also spoken to real estate appraisers who say that no matter what the appeal of a home where you pick the colors, the finishes, the landscaping, a model home does not have the appeal of a well-maintained home that is being lived in. That existing house has a homey-feel to it and many sellers are adept at staging and showing their homes off to potential buyers. There are plenty of diverse reasons but however you look at it, existing home sales are strong and show no sign of slumping; new home sales are struggling. We cannot be sure that interest rates that continue to rise would not have an affect on existing inventory but for now we are cautiously optimistic. We see strong sales trends here in Flagler County home sales and we are delighted to be a part of this trend. If you have thought of listing your home, contact us! We're ready to sell it! If you have decided on Flagler County, and you have your heart set on buying a house here, there are some things you should give consideration to. Of course if you are a young family, purchasing a home near the schools your child will attend is very important. Perhaps purchasing near the Town Center is also going to be advantageous because so many events take place there. The fireworks for Independence Day, parades, Santa Claus' visit and more take place in the Town Center and the movie theater is there. Another consideration is lifestyle. Are you moving here because you love the beach? Then Hammock Dunes or Flagler Beach are possibilities for you. Hammock Dunes offers an upscale Florida lifestyle and unparalleled waterfront living. Flagler Beach is a thriving art and surf community with a funky style and fun attitude. You may want to live near the church of your choice or one of the many special interest clubs like the Italian-American Club or the VFW. Being near one of the public swimming pools or workout centers may also appeal to you. There is a lot to think about and a lot to decide on. The best part is, wherever you are in Flagler County, the rest of the amenities are not far away. We truly believe that Flagler County offers the best in Florida living due to its abundance of natural resources, clement weather, friendly people, and modern amenities. We think you'll be very happy here! We know we are! 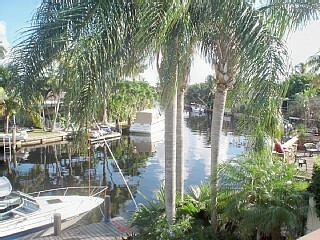 If you'd like to see listings in Flagler County, be sure to visit our website at JimmyandAnnette.com . Or learn more about the area by visiting our Pinterest Boards or our Facebook page! Every news show you watch that addresses the economy mentions how much housing has come back from its four year slump. And every pundit points out the correlation behind the housing slump and the economy and draws the conclusion that if housing recovers, the economy cannot be far behind. If that seems simplistic, you are right, but there is something to it when you examine the facts. First, one of the biggest bottlenecks to economic recovery is the job market. But if we can put contractors, developers, and handy-men back to work that will make an impact. If we see brokers and agents doing well then we know they are expanding instead of drawing back and that means they are employing support staff and contractors. Surveyors, civil engineers, title companies and appraisers are working more and hiring. Stagers, home cleaners, and people associated with home improvement like kitchen cabinetry, pool installers, sun room constructors, all see an upswing when the housing market improves. And how much has the housing market improved over the same time in 2012? According to the RE/MAX National Housing Report the median home price is up 12.6% over June 2012. Days on the market that it takes to sell have dropped to a quick 65. Out of 52 metropolitan districts reporting, only 3 reported that housing prices have dropped. Twenty-one reported an increase of double digits! That means that home loans will be easier to get because collateral is worth more. A more favorable lending climate will mean more loans made which increases local prosperity. And local prosperity is a big part of the housing / economy equation. As the property in Flagler County increases in value, and home sales generate income, all of those stagers, surveyors, carpenters, bricklayers, real estate agents and bankers are local people who go our to eat, shop in local shops, use local services. And that's how the money comes around. This isn't a quick process but it is one that is well underway in Palm Coast and Flagler County! 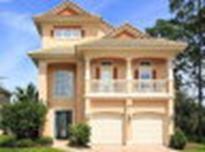 Want to know more about Palm Coast Real Estate? Call us at 386-246-8585 and lets talk about real estate! New Home Prices are Up. Are Appraisals Keeping Up With Them? A recent article on realtor.org sheds some light on a problem in the real estate market right now. Home prices are rising faster than appraised values and that can be a problem for both the buyer and seller. Let's say you find a home you want and you bid $200,000 for it. The seller accepts your offer, the bank is ready to loan, but the appraisal comes in at $178,000. How can this be? The truth is that that the appraiser has to find other homes in your neighborhood that are similar and support the sale price. Those are known as "comparables." First, some of the comparable sales may be short sales from six months or so ago. Another consideration is that buyers are suddenly motivated and bidding against each other to get into a house and that drives the price up suddenly and maybe unrealistically. Between the cheap short sales and the enthusiastic bidders the appraiser has to determine a true "fair market value" which may be somewhere in between. That value is what your home would sell for if it was on the market and no one was desperate to sell or desperate to buy. The bottom line is that the bank will not loan until they have a clear picture of the value of the home. Not the amount you want to pay, not the price the seller hopes to get, but what the home really is worth. Not an easy number to arrive at. The good news is that the market seems to be settling down. As home prices continue to steadily improve and foreclosed properties are taken off the market, the appraisals begin to reflect the higher numbers and the banks loan more willingly. What does this mean for your home? Ask a real estate professional at RE/MAX Flagstaff Realty to help you come up with a price for your home. They can show you what the market has been doing in your neighborhood and give you a realistic idea of what the appraiser will be taking into consideration. That can spare you and your buyer a lot of misunderstanding. There have been 10 more single family house entered as sold in the local Multiple Listing System. That brings the total number sold for the month of May to 191 and the Median Price to $137,000. There are fewer single family houses on the market, down to 748 from 763 earlier this month. "You are the average of the 5 people you surround yourself with"
Way to go RE/MAX Flagstaff Team!!! There were 153 Single Family Residential sold in September with a Median Price of $150,000. The number of sales has declined over the past 5 months while total inventory has increased during the same time frame. The good news is Median Price has held and even increased. The Median Price for the past three quarters 1st quarter – Median Price $132,670 2nd quarter – Median Price $141,750 3rd quarter Median Price $150,000. A 12% increase in the first 9 months of the year. The majority or 59% of single family residential sold were between $100,000 and $199,999. The next largest group was the $200,000 to $299,999 range with 15% of the total number sold. In the luxury market, $500,000 and higher, there were a total of 3 sold in September and a total of 46 for the year or less than 3% of the total market. Distress sales made up 31% of the total sold for single family residential. That number has been declining through-out the year with most of the decline coming from short sales. (see chart below) Currently there are only 38 short sale single family residential currently on the market. Most of the short sales are in a pending status, under contract, awaiting bank approval. Sales dipped again this month with 28 sales, but continue to be steady with an average of 29 units sold a month. Median Price jumped to $270,750 due to the 5 sales over $700,000 one being $1.6 million. The Median Price is the price in the middle of the least expensive and the most expensive of the properties sold. The average price of condos sold was $342,740. The low sales price was in The Village that sold at $48,800. This unit originally sold for $40,900 in 1985. The high sales price was in Hammock Dunes - Le Jardi which sold for $1.6 million, cash sale! The unit original sold for $1.3 million in 2009. Every month I scan the sold properties looking for the least disirable and most disirable home sold. I dubbed them the DOG of the month and the PEACH of the month. Jimmy's Picks of the Month! The dog of the month is 32 Farragut Dr. A 2 bedroom, 2 bath with 1162 living square feet and 1 car garage. It sold on June 1, 1996 for $60,000. The last sale was on Sept 30, 2013 when it sold for $50,000 as a bank owned property. The peach the month is 26 Ocean View Circle. 4 bedrooms, 3.5 bath rooms, 2 car garage, with 2,480 living square feet built in 2005. It sold for $566,000 on 9/17/2013. The below Table shows a month-to-month and year-over-year comparison of single family home sales for years 2011, 2012 and 2013. Median prices are Fair Market Prices, distressed properties removed. Welcome to 2013! All of us with RE/MAX Flagstaff are wishing you and yours a Happy, Healthy and Prosperous year for 2013. The first month of the New Year is nearly over and it’s time to look back on the real estate market. Our sales have been climbing since 2007, with a low of 1,223 single family residents sold. To a high in 2012 with 2,011 single family residential sold. That is a 41% increase in sales over the past 5 years. Can’t say the same with median price, in 2007 the median price for the year was $213,950. In 2011 the median price was $119,000, a 44% drop over those 4 years. At the end of 2012 the median price was $122,200 a 3% increase over 2011. The overall housing market for 2012 was better than 2011, with Single Family Homes leading the way. Condo/Townhouses are still lagging behind and should level out in 2013. Inventory has been a big factor for both of these sectors. Single Family Homes declined from over 1,000 in January 2012 to less than 840 in December 2012. Condo/Townhouses saw the same drop with close to 400 in January to just over 200 in December 2012. The low inventory sparked an increase of new construction permits for the year with 240 single family homes permits pulled in the county in 2012. With the positive ending of 2012 we anticipate 2013 to much of the same if not better. We’ll keep you posted on the real estate trends in Flagler County. If you hear anything or have a question don’t hesitate to call or email. When you think of buying, selling or investing think of us, RE/MAX Flagstaff, your preferred RE/MAX office. I hear it all the time, "How's The Market?" my response is, "What are you looking to do?" "Sell, Buy, or Invest?" All three areas of the market are doing well. If you are looking to sell, there are a lot of buyers out there looking to buy. Keep in mind sales prices are reflecting prices from the early 2000's. If you are looking to buy, there hasn't been a better time in the history of the housing industry. Interest rates are still historically low and home affordability has never been better. If you are looking to invest, rent rates are increasing and rentals are harder to find. Buy, Improve and Hold is the investment strategy I would recommend to anyone looking at real estate today. With home values reflecting prices from the early 2000's we have 10 years' worth of appreciation equity built-in to the home purchase. For instance a home bought in 2002 for $175,000 with an average of 3% appreciation a year should be valued at $235,185 today. The 3% annual increase has been a national average for decades. But today's market is the result of the real estate bubble rise and fall. Our fall has been greater than our rise, where we went up 54% it has come down 58%. That is a small difference but it is in the buyer's favor, especially the buyer investor. 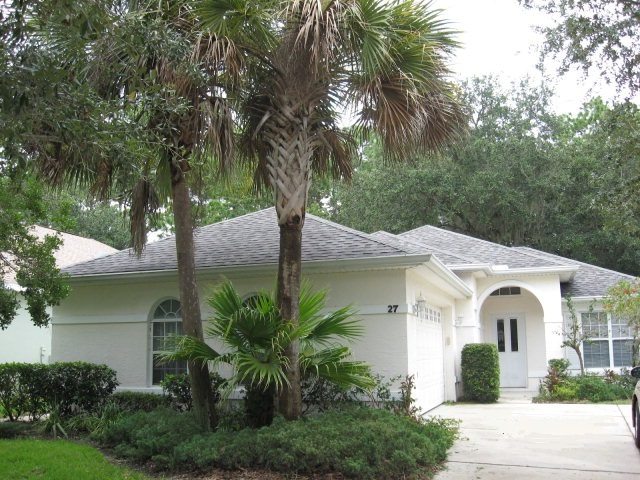 To see the ten year sales price graph for Palm Coast Click Here. Rent rates for the area have been going up due to high demand for rental property. It is the down side to the market for those who bought between 2005 and 2008, and are not able to sell their homes without a loss. If those buyers lost their job or had one of the sub-prime loans, they either sold as a short sale or lost the home to the bank. Those owners still need someplace to live and the rental market is the only option. This window of opportunity won't last much longer. Most reporting agencies are seeing lower defaults and fewer delinquencies. Both Jimmy & Annette earned the OwnAmerica Investment Certification and joins the OwnAmerica Network, a national affiliation of real estate investment specialists. This move allows Jimmy & Annette to offer analysis tools, tutorials and a video training series to clients during one of the biggest real estate investment booms in history. We will be scheduling real estate investment seminars starting in January 2013. Values for Flagler County non-distressed properties continue to increase, very slight but an increase. Medium Price for sales in the past 12 months have gone from $145,000 for the prior 7 – 12 months, $144,000 for the prior 4 – 6 months and $152,750 for the past 3 months. Distressed property sales showed slight increases as well, see chart below. October sales had a higher than average number of distressed sales, with over 50% of sales being distressed. Inventory has declined throughout the year, until October. In September there were 714 Single Family Residential homes on the market, In October there were 840. That still has a good absorption rate of 5 months of inventory on the market, a balanced market will have 6 months of supply. The below Table shows a month-to-month and year-over-year comparison of single family home sales for years 2010, 2011 and 2012. Median prices are with distressed properties removed. 57,000 completed U.S. foreclosures in Aug.
CoreLogic: Fla. leads the nation with 11% of homes in foreclosure inventory - but second-highest year-to-year decline. Read more. As we slowly come out from under the weight of distressed properties we will see price increases eventually. What are your thoughts on price increases? Study: Listings on broker websites more comprehensive, accurate and timely than non-broker home listing websites. Read more. Is this really news? What do you think? Looking for Something to Do in Palm Coast? Check out the city web site http://palmcoastgov.com/resident/communityevents/ for a schedule of activities. For a detailed review of the housing market visit our BLOG. For current information on the active market visit our company web site. July continued with single family residential units selling at record affordability, low prices and low mortgage rates. The snap shot below shows positive movement for most of the major categories of the resale housing market - Inventory down, sales up, median price (MP) up, and days on market down, all good signs but not the increase of MP that should be warranted. Shrinking inventory with increased sales should bring higher prices. I have seen stable prices and in a few market areas small increases, but not the increases one would expect. Distressed properties still make up approximately 50% of sales. That number is split fairly even between short sales and banked owned (REO), 42 short sales and 48 REO. REOs are seeing multiple offers on a regular basis with a number selling for more than list price. County records show 111 Lis Pendens filed for the month, with 104 of those residential. With the trend of fillings continuing we’ll see REO property for the years ahead. The condo market is still not moving as well as I would like, but it is better than what it was, primarily inventory is down. See table above. Our MP for condos is a moving target due to our difference in price points. July sales had a low of $41,000 and a high of $1.5 mill. Eleven of the condos were under $92,000 and eleven were over $92,000 and 3 those were over $600,000. The average price was $237,200. Vacant land is selling throughout the county with 26 sales of non- Palm Coast lots and 12 Palm Coast lots. Values have not increased and in some cases they have decreased. Palm Coast Plantation Intracoastal lots started 2012 hovering around $140,000 and have dipped below $100,000 for several sales and now back to $120,000. 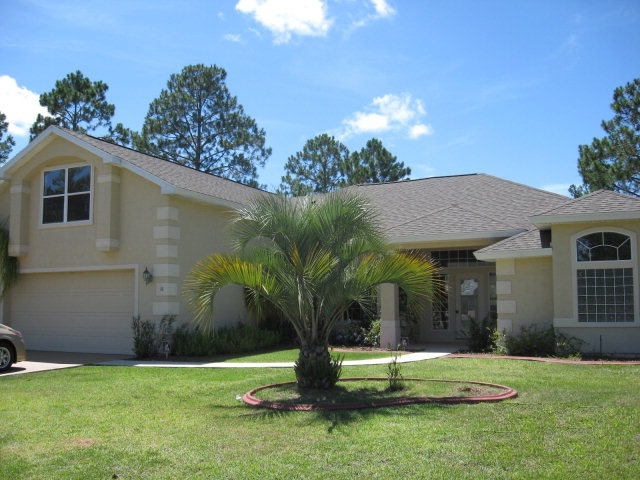 The Conservatory at Hammock Beach is another subdivision that has seen the values increase slightly from MP of $18,000 for July through December 2011 to a MP of $22,300 for January to July 2012. 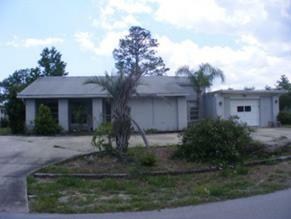 Palm Coast lots are maintaining a MP of $10,000 with a low of $4,000 and a high of $105,000. The below Table shows a month-to-month and year-over-year comparison of single family home sales for years 2010, 2011 and 2012. Median prices are with distressed properties removed. Joe Roy of the Palm Coast Business Action Center presented to the Leads to the Future group at Hancock Bank in Palm Coast this morning. Joe provided lots of good and pertinent information for small businesses to the group of approximately 30 members in attendance. One good idea was the Small Business Saturday the BAC has championed. The first Saturday of the month the BAC will advertise in local print and on radio to encourage shoppers to stay in Flagler County and buy at small businesses. The businesses bundle a bargain for the shoppers and get free advertisement. Visit the BAC web site for more info http://palmcoastbac.com/. The center also provides assistants in business planning, budgeting and marketing. Services are free but they are priceless. Joe also went on the say the BAC is part of the Small Business Development Center (SBDC) with University of Central Florida (UCF) and that his office is a Satellite Service Center. His office is located at 160 Cypress Point Pkwy, Suite B-105, in Palm Coast City Hall. Although he is in Palm Coast city hall he is not a city employee. Joe - thanks for the presentation. It is always beneficial hearing you speak.